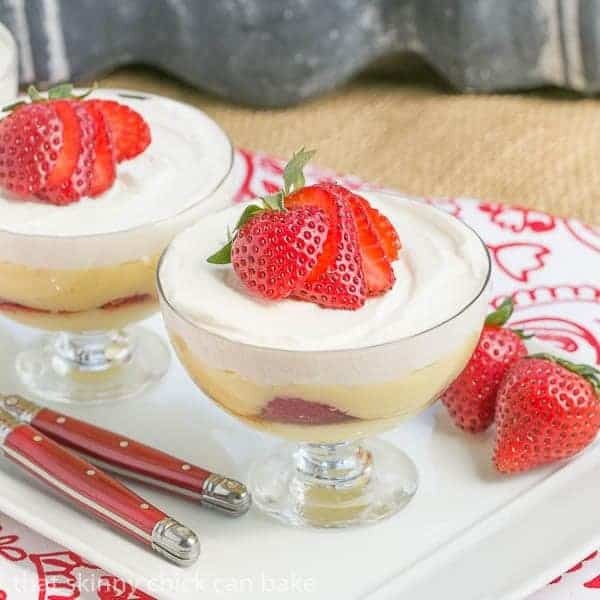 Layers of creamy homemade pudding, juicy ripe strawberries and sweetened whipped cream create a gorgeous, irresistible dessert. 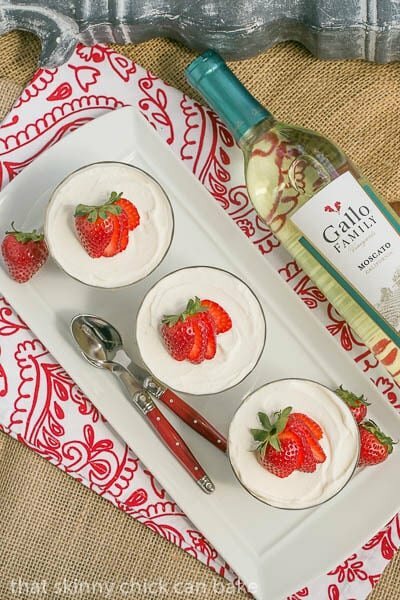 These Moscato Pudding Parfaits are infused with lemon zest, vanilla and sweet Gallo Family Vineyards’ Moscato for the perfect adult indulgence. Many thanks to Gallo Family Vineyards for sponsoring this post. See details below. We have an extra mouth to feed on Sunday nights. Our oldest lives only a couple miles away and has an open invitation to dine with us anytime, but Sunday is pretty much a given. So there must be dessert. That 20-something male (and his high metabolism) helps devour many of the sweet treats that could make this skinny chick not so svelte! I’ve used Moscato to poach fruit (Gallo’s Riesling was also fabulous for poached peaches), but I was intrigued by the idea of a wine pudding. I was hoping the beer drinking men in the family would approve! Just like salt enhances the flavor of food, alcohol does, too. That’s why so many sauces are deglazed with wine. It gives them that je ne sais quoi you tend to find in restaurant dishes, but not necessarily at home. 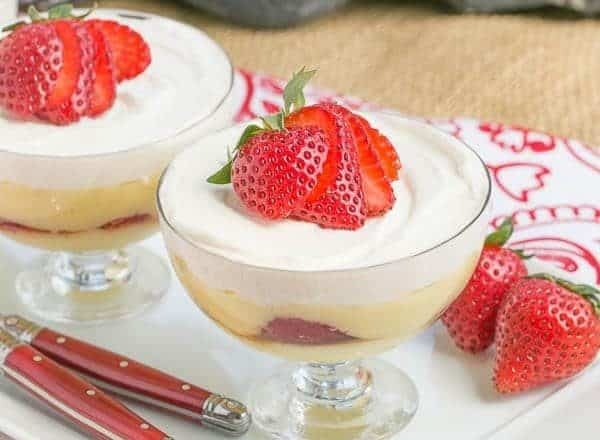 The Moscato added a depth of flavor that took these Moscato pudding parfaits from ordinary to something special. The family gave it their seal of approval, too. Note that the alcohol in this recipe will evaporate slightly as it’s stirred into the luscious custard, but I’d still reserve this dessert for the over 21 crowd. 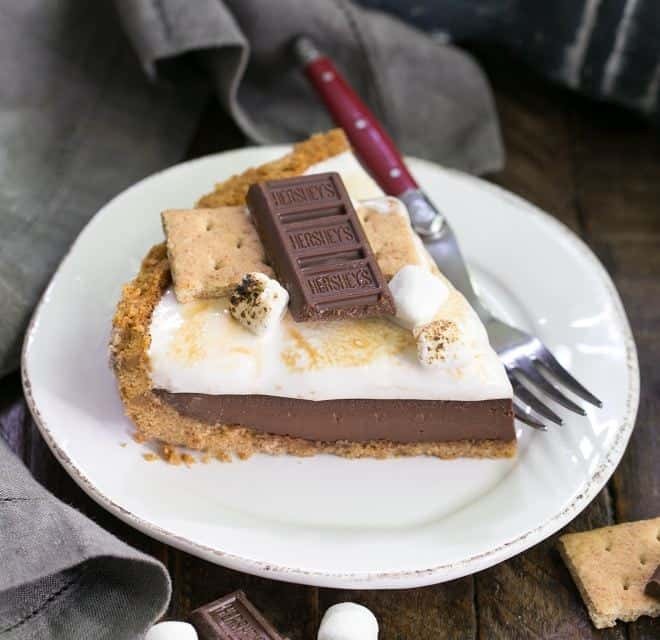 And there’s another fun reason to whip up this scrumptious layered dessert–National Moscato Day is next Saturday, May 9. I definitely prefer light bodied, crisp fruity wines, like Gallo’s Moscato, so I know what I’ll be uncorking next weekend! It’s the perfect way to usher in the warmer temps. Moscatos are the quintessential beverage for transitioning into summer. While you have your bottle open, I’d suggest reserving a wee bit for these sublime parfaits. Did you know that Gallo offers three different Moscato wines? I was tempted to use the Pink Moscato in this pudding, but feared the color could be a bit off-putting, though its hue as a stand-alone beverage was lovely. Plus the citrus, peach and red berry aromas would have worked perfectly with these parfaits. Moving from the light-bodied pink to a medium-bodied red, the Red Moscato has similar fruity undertones as the pink and is perfect to drink, well chilled, with dessert or even spicy foods or light cheeses. Quite versatile. But I selected the classic Moscato for this recipe. Sweet like it’s counterparts, this Moscato has those same citrus and peach nuances but with a honey twist. It complemented the berries, lemon and vanilla in the parfaits and was perfect for sipping as I dove into my portion! A decadent layered dessert featuring Moscato pudding and strawberries. In a medium bowl, gently toss sliced berries with sugar and set aside. To make the pudding, mix the lemon zest and sugar in a medium bowl. Massage the zest into the sugar with your fingers to release the essential oils. Add the cornstarch and the salt and stir well to combine. Add ¼ cup of cold milk and whisk to remove lumps. Scald the milk by zapping in the microwave in a large Pyrex measuring cup till just shy of boiling. Remove from the heat, add the butter and continue to stir for a few more minutes as the pudding starts to cool. Press a piece of plastic wrap on the top of the pudding and let cool to room temperature. To make parfaits, layer some of the pudding on the bottom of 4 dessert cups (glass is best to show off the layers). Divide the sliced berries between the parfaits and layer evenly over the pudding. Divide up the remaining pudding and top the berries, smoothing the top. 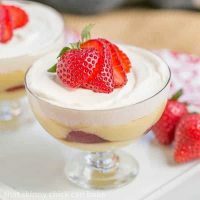 Top with a layer of whipped cream and garnish with a strawberry if desired. Total time does not include cooling time and chilling time. Number of servings depends on the size of your dessert cups. Pudding recipe adapted from Food 52. To find where to purchase Gallo’s wines near you, check out their handy dandy store locator. Check out Gallo Family Vineyards’ blog post for Moscato Day! Moscatofy yourself with this fun quiz on the Gallo website. Plus Gallo has a Moscato Day sweepstakes you may like to enter! A wine pudding, Liz?!? You re a genius. Thanks for sharing this with #SundaySupper. I will put it on my to-make list. I love these lovely parfaits dear Lizzy! Such pretty parfaits! I’m imagining how creamy they are and then that little crunch from strawberry seeds. Delightful for sure. I never would have thought to use wine in a dessert! Such a creative idea 🙂 Looks perfect for a Sunday dessert too, I agree! Whst a lovely pudding, takes me back to the 70’s when we had some sort of parfait for dessert at least once a week! The addition of wine sounds tempting and extravagant, perfect for a dinner party. Moscato is such a girly drink but I love it on a hot summer day. I also love poaching things in it for dessert. 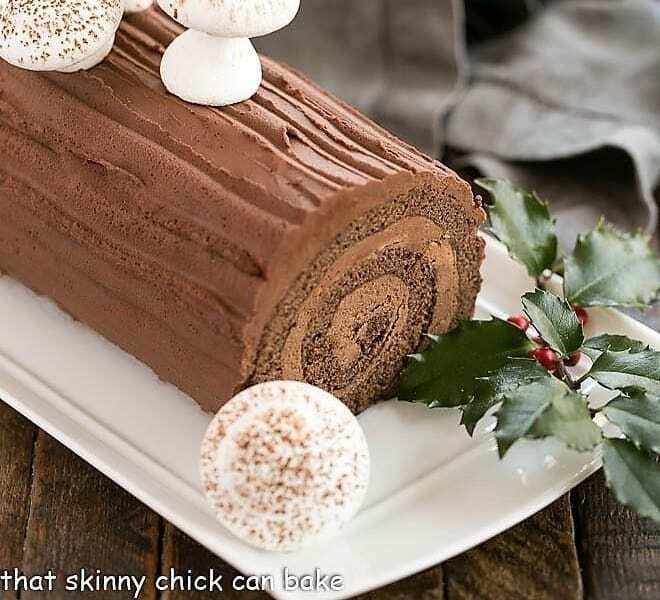 I haven’t made a pudding like this but I sure want to now. One dreamy dessert, indeed! This looks so so good, Liz! You’re right, this is one dreamy dessert. Love it! I love the look and sound of these puddings, Liz. 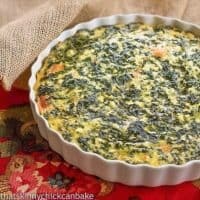 Moscato AND uses up 4 egg yolks? That’s my kind of dessert! Pinning and sharing this with my macaron friends – thank you, Liz! Those parfaits look so dreamy and inviting! These look light, luscious and perfect for summer! Liz, you always out do yourself. Your pudding parfaits look amazing! These are truly lovely and would be the center of conversation at any event. Parfait is such a classic and fun recipe. Somehow it manages to be both a little sophisticated and a little bit for the kid in all of us! This is perfect for so many special occasions! I think I might make this for a romantic dinner one night! Though– I know my mom would adore it for Mother’s Day! Perhaps I need a trial run with hubby first! Beautiful parfaits! I love the moscato flavour so I bet they taste just as delicious too. Gorgeous pudding. And how nice that you see your son every week! I’m willing to share a weebit of the delicious wine for THIS dessert! This sounds like a wonderful dessert. I like having wine in the pudding. This pudding parfait will have to go on my list of recipes to try. I am curious as how the wine would be in the pudding. 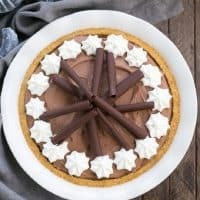 What a creamy dreamy dessert! Perfect for Moscato Day and Mother’s Day! Beautiful parfaits, those layers are so pretty! This is the perfect Spring pudding! Leave it to you, Liz! When I first started drinking moscato, I used to put strawberries in the glass along with it. It really is the perfect pairing! 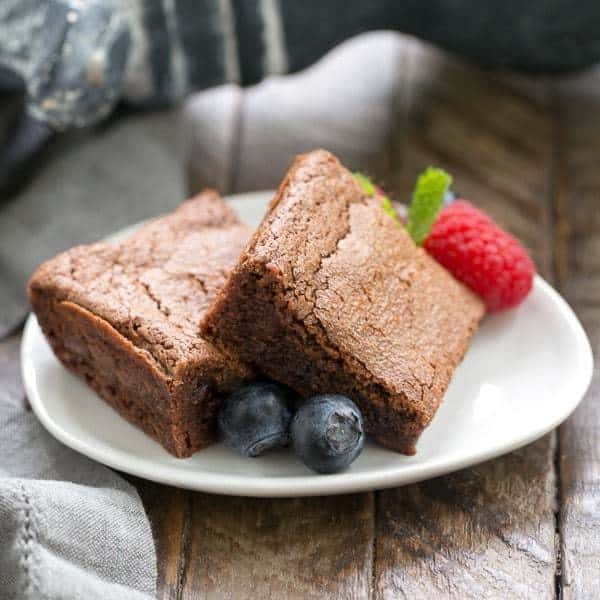 Now, this is really a one dreamy dessert! Dreams do come true with this dish. It’s just so perfectly delicious! Great parfaits! Oh my, Liz, this is just gorgeous! Moscato is a favourite of mine! Liz this is beautiful!! and I would have never thought to put wine in pudding! Can’t wait to try this! These looking amazing! 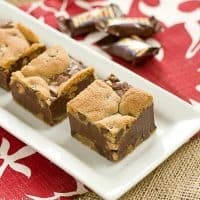 I can’t wait to make them for the family! Given the choice of cake, pie or pudding, I’ll take pudding any day. These moscato pudding is so very lovely and the flavor sounds quite exotic. I almost missed this recipe. Love the idea of wine in pudding. I use moscato wine to make Italian Wine Cookies and they are wonderful too. Liz these are so pretty and definitely getting saved to try. However, I’m so confused. I haven’t been receiving your emails so I went online yesterday and saw you had some cheesecake parfaits that I was getting ready to comment on and print off when i got a call. Now I came back and have no clue where those went. Your site has changed so much. Do you have a facebook page now? Maybe that’s where I saw it. Wow you’ve made a lot of changes. You’re cookin! This is one to try! One dreamy dessert, indeed! 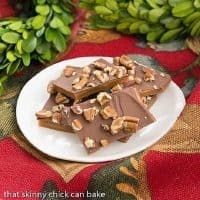 This is such an elegant dessert and I just know it tastes incredible!